The Dining Commons serves commuting and residential students, faculty and staff. Entrees, soups, wraps, a full salad bar and short-order service and snacks are available. 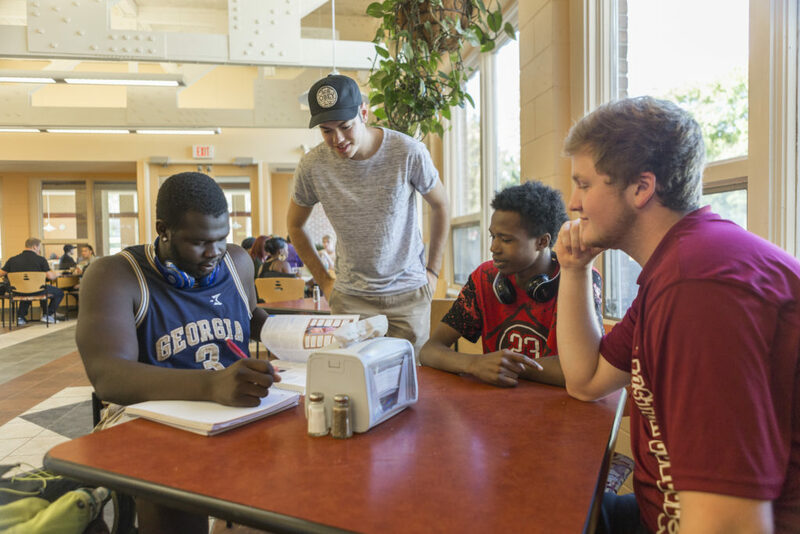 The Dining Commons is open Monday through Friday for commuting students, and seven days a week for those who live on campus. Hours may change due to holidays, school breaks, and weather. Monday – Friday: 7:15 a.m. – 7:45 p.m. Grab & Go Items: 7:15 a.m. – 7:45 p.m.
Breakfast: 7:15 a.m. – 10:00 a.m.
Dinner: 4:15 p.m. – 6:00 p.m. Grab & Go Items: 10:00 a.m. – 5:00 p.m.
Brunch: 10:00 a.m. – 1:00 p.m. 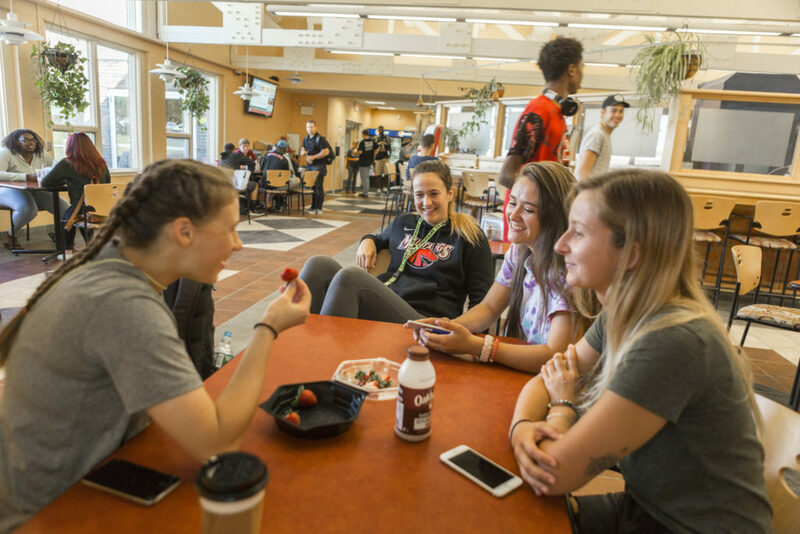 Salad Bar: 3:00 p.m. – 5:00 p.m.
Dinner: 3:00 p.m. – 5:00 p.m.
Labor Day (no classes) Commons open 10 a.m. to 5 p.m.
Fall Recess (after all classes) Commons open 10 a.m. to 5 p.m.
Fall Recess Commons open 10 a.m. to 5 p.m.
Columbus Day (no classes) Commons open 10 a.m. to 5 p.m.
No Classes Commons open 10 a.m. to 5 p.m.
Veterans Day (no classes) Commons is open 10 a.m. to 5 p.m.
Thanksgiving Break (no classes) Commons is open 7:15 to 2 p.m. When the campus is closed all day due to inclement weather, the Dining Commons will be open 10 a.m. to 4 p.m. 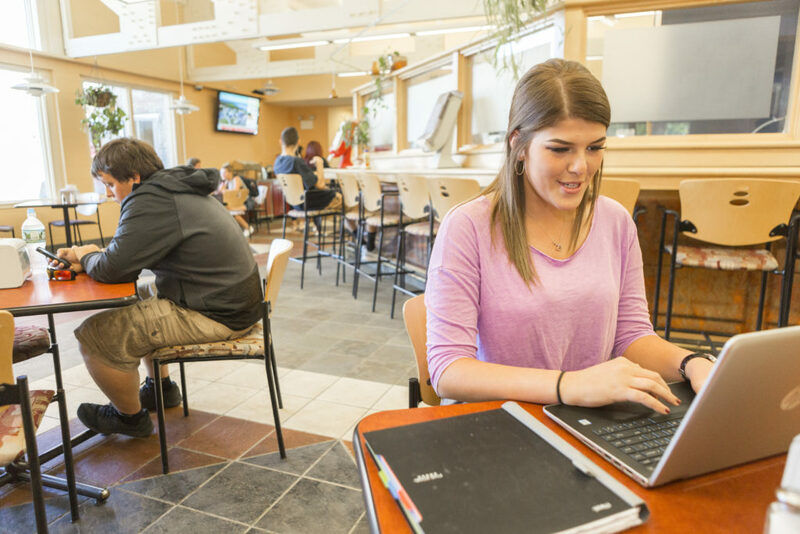 When the campus closes early due to inclement weather, the Dining Commons will remain open until 6 p.m.
Central Station is our open concept cafe located in Jalbert Hall, which serves a variety of hot and cold beverages, baked goods, and snack items. Central Station is open during the academic school year and has a seating area overlooking our back quad and Lake Auburn. Central Station will not be open if the College is closed due to inclement weather. Hours may change due to holidays, school breaks, and weather. Please contact the Dining Commons if you are unsure. Saturday: 7:00 a.m. – 10:00 a.m.